The Indonesian government is serious enough to develop environmentally friendly cars. Rows of environmentally friendly cars from various brands were also held at the 2018 Gaikindo Indonesia International Auto Show (GIIAS) exhibition. For example Toyota. Toyota exhibited Hybrid Electric Vehicle (HEV) through Toyota C-HR, Prius Plug-in Hybrid Electric Vehicle (PHEV) and the latest one was Toyota Mirai with Fuel Cell Electric Vehicle (FCEV) technology or hydrogen fueled. Apparently one of Toyota's environmentally friendly cars attracted the attention of President Joko Widodo. 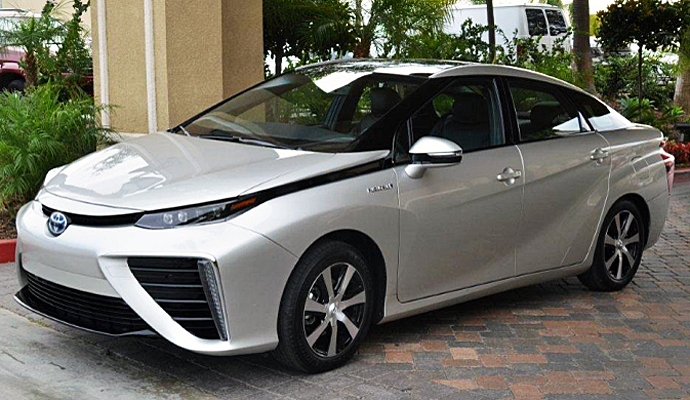 The car is a hydrogen-powered Mirai. Toyota deliberately showed off its environmentally friendly cars to answer the government's wishes. "So that's why it is very reasonable for Mr. Jokowi to stop by our booth because he is very interested in Mirai because the fuel is hydrogen," explained Soerjo. Environmentally friendly cars are indeed a lot of variety. Some are electrically powered, hybrid to hydrogen. Besides being environmentally friendly the cars are also claimed to be fuel efficient. The Toyota Mirai drive engine is a Fuel Cell Sytem which is a combination of fuel cell and hybrid technology which is proven to be more efficient. Using hydrogen fuel, Mirai is truly environmentally friendly because Mirai does not produce CO2 or zero carbon emission at all. Just like other Toyota vehicles, Mirai is also designed as a comfortable and safe vehicle. The aerodynamic exterior design and combined with the FCHV drive make this car smoother than conventional technology vehicles. Tests conducted by Toyota Motor Corporation, Mirai with a length of 4,890 mm and width of 1,815 mm have a cruising power of 650-700 Km for one time refueling. Refueling also does not take long, only about 3-5 minutes to reach the full tank. 0 Response to "Cars Not Using Fuel from Toyota This Makes Jokowi Interested"